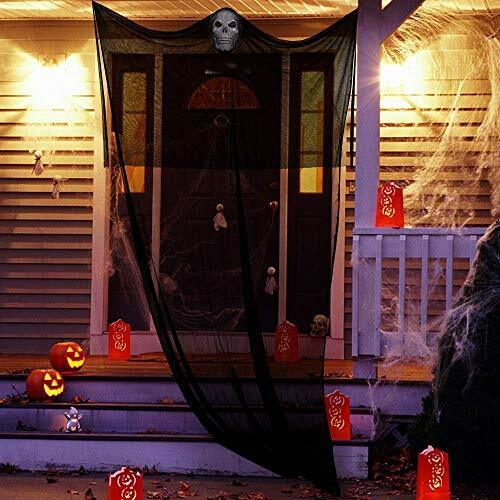 This creepy torn cloth will make the best Halloween decoration for your home or Halloween party. 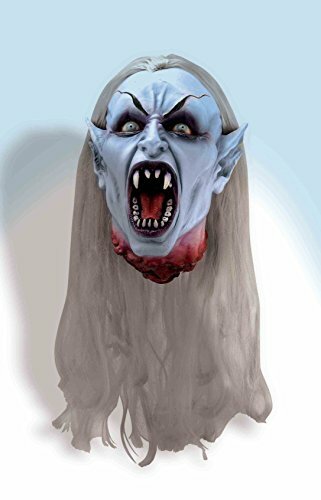 Perfect for indoor and outdoor Halloween decorations, Halloween Displays, Halloween Parties, etc. 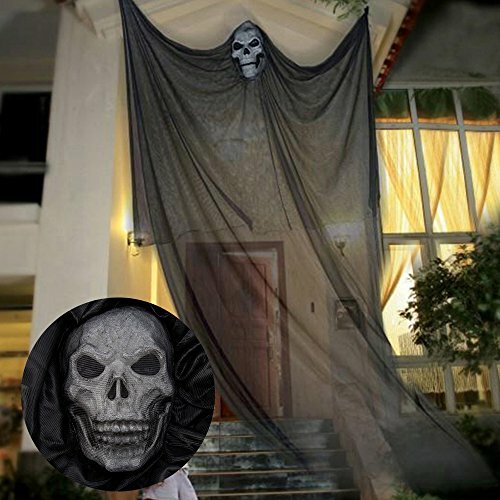 Color: Black Large Size - 7 ft. wide, 11 ft. Long Lightweight and flowing black cloth with a scary plastic ghost face for a eerie atmosphere. 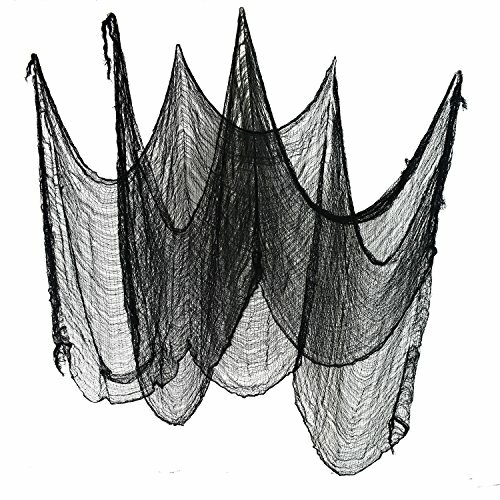 Has three fish threads attached for easy hanging on the tree, doorways or eaves of the house. 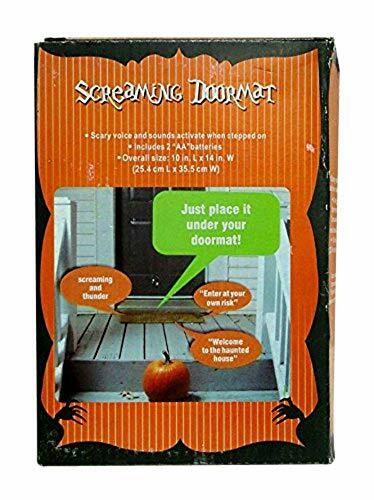 Great for greeting trick-or-treaters, or visitors to your haunted house! Hang from a tree, your porch, windows, or in your living room! Good choice for your bedroom, yard, bar, hunted house or a tree in your yard to welcome the neighbors! 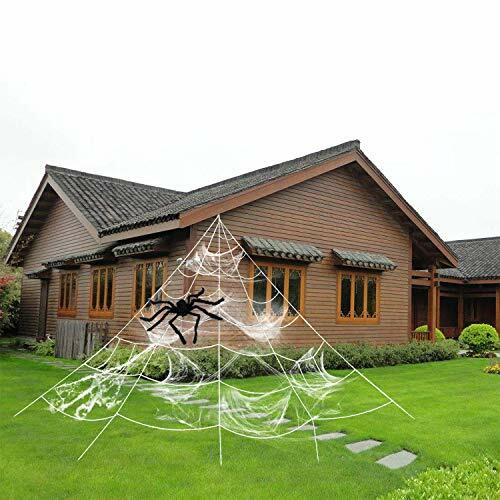 Size: 10ft Long Made of Polyester and PVC plastic ghost face Large area after being unfolded and many other decorations that can be hung on it, such as spiders, pumpkin, small ghost and so on. 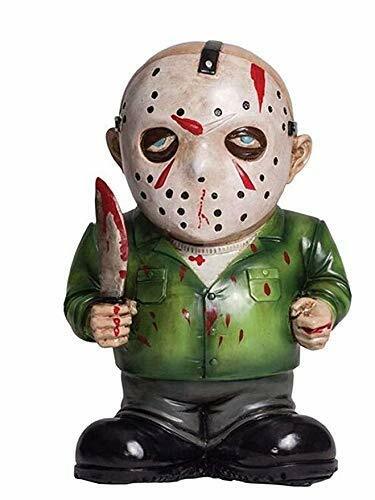 Have Jason great your guests on your lawn as they come to your house. This Friday the 13th Villain is sure to keep all the kiddos up at night after a visit to your house. Measuring approximately 15 inches in height, he's the perfect size to place just about anywhere! You can use him outside of your house on the front porch, or even place him inside on a shelf!